Trends and beliefs are ever changing, particularly in a subject as emotive and elusive as the whole field of UFO study and related phenomena. One of the reasons that the idea of UFOs exists at all is the responsibility of the UFO researchers themselves and how they approach and investigate reports and claims of UFO sightings and encounters. Certainly reports from pilots and astronauts have led the way in focusing on the idea of the actual existence of nuts and bolts extra-terrestrial craft visiting us from ‘out there’, with the modern era of UFOs really beginning in earnest with pilot Kenneth Arnold’s sighting in June of 1947. Many subsequent possible explanations and theories emerged to define what he had actually observed, but nonetheless his sighting has remained as a classic report of a UFO. The media’s unfortunate use of the term ‘flying saucer’ (a misrepresentation of what Arnold actually said) took on a life of its own and aligned itself with “UFO”, which of course in real terms simply means an unidentified flying object, which, given the correct resources and information, can usually be identified. It is also crucial that we explore the way in which perceptions and beliefs influence how people observe things and to understand the inaccuracy of most observations of lights and objects that people perceive to be UFOs. A very high percentage of cases could be explained if reported within twenty-four hours and with good objective reporting by the witnesses, illustrating the conflicting ideas of UFOs versus IFOs (Identified Flying Objects). Another very significant issue that arises is the media’s role in the area of UFO research. It has to be remembered that they are selling entertainment to the public in order to increase and validate their viewing figures and it is rare for a documentary or radio programme to do much more than this. A good percentage of TV documentaries and newspaper features manage to misinform the public completely about the real possibilities in this field of research and so the beat goes on with the general public soaking up the idea of alien abduction and fleets of spaceships in our skies without an ounce of definitive proof to back this up. The real and significant issues are edited out or never addressed in the first place. 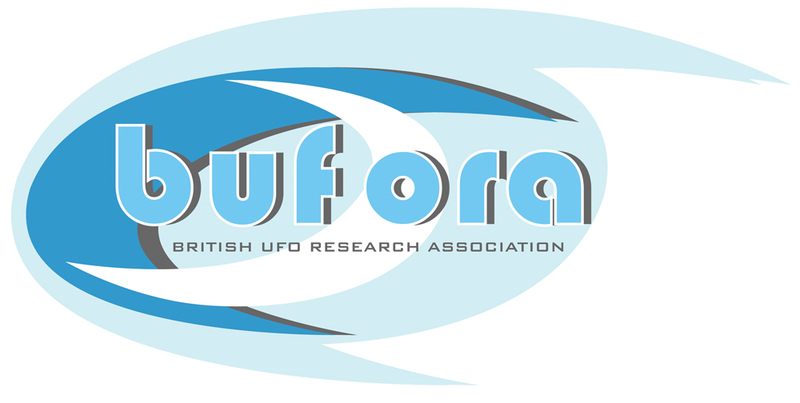 It is a tragedy, in some ways, that this is the case as BUFORA and many other UFO organisations across the UK and beyond contribute in a major way to these programmes in order to provide information to the public about the diverse areas of UFO research. This should, in normal circumstances, enable the press and media to be informed enough to present a reasonable documentary or debate on aspects of the UFO field of study. But many programmes still focus on areas that entertain only and continue to omit the significant issues concerning the UFO subject in general. 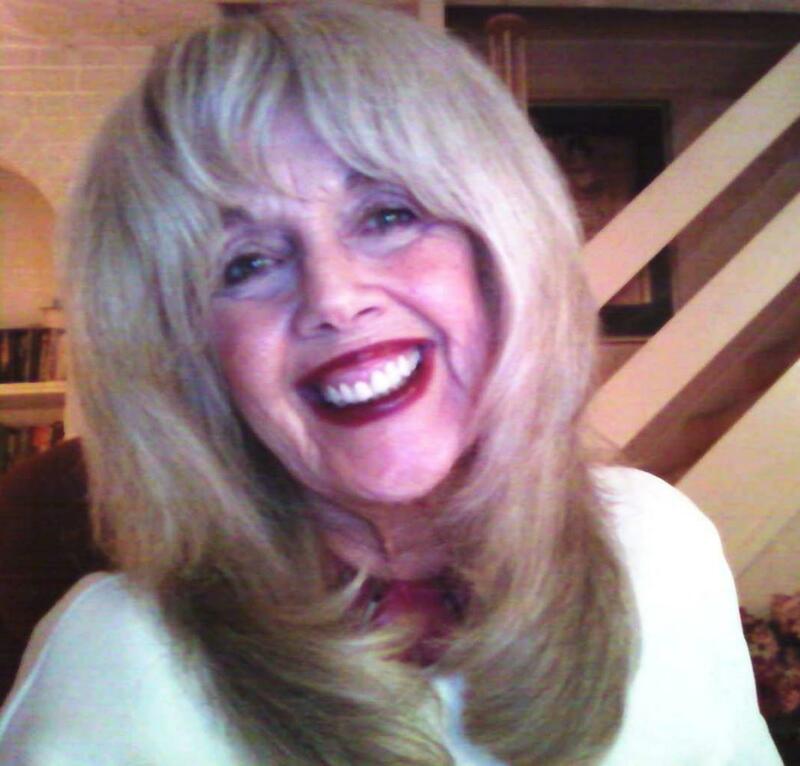 Fortunately there have been a number of programmes, especially recently, that have adopted a more responsible approach to the whole UFO idea and its related counterparts. Hopefully this has informed the public in a more responsible and balanced way about the real, tangible issues surrounding the more sensational motifs of UFO lore. The nineties generated enormous interest in the whole subject and consequently UFO sighting reports were very high during that time, due in part to the very successful series The X Files and several other science fiction television series and movies. In addition, the controversial alleged Roswell alien footage promoted by Ray Santilli, with interest reaching an all-time high during that period (challenged only by the late ‘70s when Close Encounters of the Third Kind was released). An ever-increasing number of UFO conferences, books, magazines and media coverage reinforced much of the imagery associated with UFOs. This also led to a tremendous increase in UFO sighting reports to many organisations and agencies such as the police, airports, Jodrell Bank, MOD etc. and so the public’s perception of UFOs began to take on substance, creating a legacy of hopes and fears about the idea of spaceships visiting us from far distant planets and to the idea that aliens were abducting us behind closed doors, or on lonely roads. This evolved quite radically and books, articles and documentaries on the subject of abduction by aliens continued to escalate although many were without substance or comprehensive research and certainly devoid of any relevant scientific balance. One of the outstanding events in the early nineties was the MIT Abduction Study Conference in America, where both scientists and witnesses gathered together to collate and focus on the available comprehensive and incredible raw data relating to abduction research that had been drawn together for this event. This resulted in an academic, encyclopedic book documenting the wide-ranging discussions and conclusions of the conference (Close Encounters of the Fourth Kind – C.D.B.Bryan). The idea of alien abduction progressed through the nineties with stark alien imagery used everywhere including television advertising. Everyone became familiar with the visual representation of archetypal alien and accompanying scenarios. More and more speculation developed around the subject of abduction and the idea that people were being taken, in real time, by aliens and subjected to all manner of abuse for reasons of creating a hybrid race and other fanciful notions. These experiences were often investigated with the aid of regression hypnosis, used as a tool to elicit the ‘truth’ about what the witness had experienced. The fact that hypnosis used in this way is riddled with inaccuracy and fantasy seemed immaterial to some researchers. Regression hypnosis is extremely problematic to use as a method for eliciting an accurate ‘truth’ about a UFO experience and cannot be regarded as giving any objective validity to the event or experience. It can be an extremely powerful tool and, in some instances, dangerous. During the hypnotic trance witnesses can be in an extremely suggestive state and therefore fantasy can create a large part of their ‘memories’ of the experience, in addition to the powerful UFO imagery available to them on a subconscious level. Memory itself is highly inaccurate; even though we feel that things are just as we remember them, this is not the case at all and the brain is very selective about what we choose to remember. Every time we draw on that memory we can edit and change it and the emotions that may be involved in a memory can also change the ‘way’ in which we recall it. And so the myths and rumours surrounding the nature of claims of alien abduction developed at a rapid pace supported by a host of media and press documentaries and articles. Meanwhile across the Atlantic in America abduction researchers, including academics, were endorsing the idea of alien abduction in quite radical ways and there is no doubt that there were major differences between UK abduction researchers and American researchers, particularly with regard to the idea pursued by researchers in the States that these experiences were occurring as a physical reality. Some researchers within the UK disputed these notions and theories quite dramatically and many vociferous debates flowed back and forth electronically across the Atlantic. By the time the very late nineties arrived, many UFO magazines had gone out of business as the interest in the idea of visiting spaceships diminished somewhat and ennui set in with regard to the media sources, who had been responsible for promoting all the alien abduction stories. Evidence of this decrease became more and more apparent with regard to sighting reports to BUFORA and from 1998 annual statistics continued to drop and there has been a downward spiral since then and to date. There are still problems in gaining any kind of accurate national statistics, due in part to local UFO groups that come and go and whose reports tend to be inaccessible to anyone else. However, it is also evident from various sources that publishers and the press have a very low-grade interest in the UFO subject at the moment. This does not mean for one moment that it will stay that way. There have always been ebbs and flows in ufology and a spate of sighting reports etc. will usually generate more interest, particularly if this is covered by local press, often prompting people in these localized areas to come forward with their sightings, thereby supporting the idea that there are “window areas” which appear to be inundated with UFOs. Of course this is rarely the case, as people will report all manner of things that actually have nothing to do with the primary sighting. Therefore very inaccurate statistics are claimed for certain areas. Bonnybridge in Scotland is an example of this and certainly researcher Malcolm Robinson, who investigated many sightings in the area, commented about the exaggerated UFO statistics for the area, although there was certainly a higher number than normal, over a limited time span, for the location. Debunkers of the idea of a UFO phenomenon were very happy to embrace this trend, as were sceptics, to a point, and the believers in the idea of UFOs as being alien spacecraft would continue to point out that the real story was very different, with cover-ups and government conspiracies concealing the fact that there were indeed aliens and spaceships visiting this planet, under cover, with major life changing schemes in store for us. And so the beat went on. Whatever the theories, debates and disputes relating to alien abduction issues there is no doubt that there are mysteries that we are still failing to explain. An ever-increasing number of people are reporting experiences that lie outside that which science can explain and this trend is escalating as we settle into the 21st century. Of course relevant scientific disciplines can be counted on to explain some of these experiences, but few get involved with the real issues that surround ordinary people reporting extraordinary experiences. They are also incredibly unaware of the amount of raw data that organisations like BUFORA and many others receive. This curtails any opportunity to really study what may be occurring and many show a dismissive attitude to the idea that there is indeed a mountain of data out there, which needs to be investigated. This is important data indeed for the 21st century, if only for the need to understand the enormous potential of human consciousness. Research and investigation within BUFORA and many other UFO organisations extends far beyond their original remit and has done for a very long time. This sometimes has gone unrecognized, as many have focused on and studied only one area (the physical reality of UFOs and EBEs traveling through space) when there is a need to look in a comprehensive way at the whole picture of the witness and their life history including their environment, beliefs and desires, which would present a better understanding of these compelling experiences and what they may mean in terms of the human condition. To sum up on the above, it is apparent that there are a residual of high strangeness cases that defy any rational explanation at all after thorough investigation. This may not necessarily mean that in time, or with the correct resources, they cannot be explained. It may be that in some cases we are looking at unknown natural phenomena that may cause a type of brain dysfunction which could produce strange and inexplicable effects, drawing us into a journey of mind-boggling experiences that are completely subjective and for which the experiencer has no known interpretive framework or imagery. It is also, however, a possibility that during these experiences there are direct links to otherworld realities that exist beyond the parameters of the physical world, as we understand it. Because of this, the witness sets out on a mission of self-discovery to try and understand what these experiences are. BUFORA and other UFO/paranormal organisations are just some of the agencies they may use on their way and it has become crucial now that we be able to draw on reports of these experiences and try to define some aspects of what may be occurring within this strange and complex field of research. Meanwhile in 2008 reports appear to be continuing to decline, although it is doubtful that this is a true reflection of international or even national reports. The internet has certainly changed the way people make these reports, with many relating their sightings on UFO and paranormal web-sites or in chat-rooms etc., so it is unlikely that we have anywhere close to a true picture of the reality of what is going on in the UFO and paranormal world of inexplicable events. This is certainly a major obstacle to specialised investigators and researchers who used to be the recipients of such reports, allowing them to sift the data in the search for true anomalies, in order to explore and examine the nature of extraordinary human experiences and to focus on whether there is a residue of reports that do indeed lie outside the boundaries of what science can explain, both now and even in the future. In order to proceed in any direction at all in this bewildering subject, we need to understand some of the present day beliefs and interpretations of extraordinary experiences. What is certainly important is how interpretation of strange events is being understood and drawn together by the witness. Possibly the folklore of yesterday has transcended into the ‘grey alien’ imagery of today. It has been fascinating to see how witness perception has changed during the eighties and nineties in terms of how they interpret a curious event or experience; it is evident that absorption and mirroring of imagery is taking place, imagery they have already downloaded into their unconscious minds, and which depicts visiting aliens and flying saucers. A percentage of reports appear to have no actual observation of a UFO, but may involve seeing a strange figure or lights in their bedroom at night, or a car journey where they feel they have experienced ‘missing time’ and odd lights and events with fragmented memories of what has occurred. Because of the powerful representations of aliens and extraterrestrial craft etc. that are carried within the media, press, books, magazines and advertising, some visions of ghostly figures and various other paranormal occurrences are now being perceived as some kind of alien presence, contact or visitation and so interpretation of these events has changed to fit into modern day beliefs. It is often not understood very well that the UFO subject encompasses a huge and complex picture and it is essential that researchers realise just how wide the parameters are when investigating claims of UFO encounters: it is a question of belief, or defining unknown experiences within the context of modern day trends and representations of these trends, and therefore how these events are perceived that triggers the agency to which people will make their reports. To focus within restrictive parameters will not increase our knowledge of the nature of this subject and more importantly the nature of people who report experiences. In the Space Age in which we live, and as our technology have advanced in a dramatic way over the last 20 years, people are looking to the skies for answers in the form of visitors from outer space. They are asking more questions and seeking the answers on a scale unknown before and as people move from orthodox religion to New Age-type beliefs, they are becoming more spiritually aware and need to explore that spirituality. So what could be the possibilities in extending our thinking beyond the idea of nuts and bolts spaceships visiting our planet? 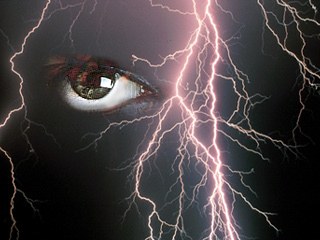 There are of course many real alternatives and explanations beginning with unidentified atmospheric phenomena (UAP), such as ball lightning, a controversial, but very real possibility in a small percentage of cases and which has certainly been recorded by some UFO organisations as being a real contender to explain an event. These translucent balls have been known to find their way through solid matter creating problems and physiological effects for those in their path. In fact in one report from the 1950s, the teenager felt the sense of a presence before he observed the ball of light moving slowly up his staircase. We then have the well-documented area of earthlights (sometimes reported prior to and during seismic activity), with a prime example of these lights occurring in the Hessdalen Valley in Norway. Writer Paul Devereux has conducted long-term research into earthlights and written several books on the subject. The Longendale Valley in the Peak District has certainly many recordings of these lights. Powerful electro-magnetic fields (EM) are most certainly responsible in some cases for some claims of inexplicable events. 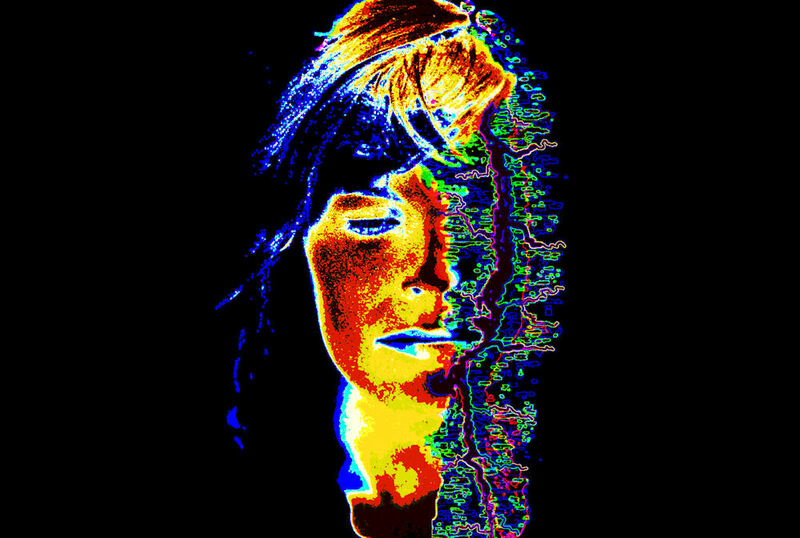 These EM fields are so powerful in certain areas that they interact with the brain causing hallucinatory effects and creating perceptions of ‘missing time’ and the sense of presence. Sensory perceptions are internally generated when the brain is ‘scrambled’ through unusual electro-magnetic stimulation and memory is unable to code properly, thus a much distorted idea of what is taking place is formed. Researcher Albert Budden has conducted long-term research at the cutting edge of this particular area and I highly recommend his books, which will give the reader a real insight into the ramifications of electro-magnetic fields and their possible effects. Some high strangeness UFO cases very possibly lie within the paranormal field of study and have been misunderstood or misinterpreted by the witness to be associated with UFO/alien encounters. Sleep states such as hypnagogia and hypnopompia, the altered states of consciousness between waking and sleeping, can cause incorrect interpretation of an event. These altered states are characterized by vivid, bizarre mental “visions” that appear very real indeed to the sleeper, and very different from dream-sleep imagery. Another state, common to all of us, is ‘sleep paralysis’, which occurs during sleep in order to prevent us acting out our dreams and having a nasty accident. Unfortunately this condition can sometimes transcend into ‘waking time’ in some reasonably rare cases and this can cause severe panic for the person, especially when accompanied by intense feelings of presence and a suffocating weight on the chest (semi-paralysed muscles), often seen by the confused sleeper as a malignant entity bending over them. Then there are what are known as ‘false awakenings”, where people are convinced that they have wakened up and experienced real events, whereas they are actually still in dream sleep and have only dreamt that they have awoken. This is quite a common occurrence. The above alternatives to the ETH hypothesis give an idea of the extent of how wide-ranging the other theories could be. Is there any evidence that aliens are visiting us from ‘out there’? Well there is certainly no definitive proof in the form of artifacts or crashed saucers or any captured extraterrestrial entities, beyond rumour and speculation. There is, however, mounting anecdotal evidence, sometimes accompanied by physiological effects, from people across the world who claim to have had a UFO encounter or experienced something not of this world, and which they perceive may be visitors from outer space. What do we make of these claims particularly those being reported by pilots, astronauts and sane, rational people? Could there be any truth in the idea of nuts and bolts spaceships and alien visitation? What proof in any form is there? Could some of these claims be the result of the alternatives to the ETH mentioned above and interpreted incorrectly? There are many questions without answers and that is if we are even asking the right questions. To reiterate, as I mentioned at the beginning of this article, without the researchers and people who report these sightings and experiences, there would be no UFO subject for articles, books or media coverage. The subject has extended way beyond what were understood to be the original parameters of the UFO field of study, so the resulting complexities have created a minefield of speculative thinking on what the reality of UFOs may be. There are many mysteries for mankind to explore and possibly define in the future, whether these are created by alien visitation from outer space or something else from ‘inner space’ and the enormous unexplored potential of the human consciousness. We need mysteries to lie on the periphery of our lives in order give meaning to our existence and the nature of reality. And as we embrace our limited understanding of who we are and why we are, we reach out to a vast universe to develop and widen that understanding and hope that we are not alone. In the end that is all we can do.